See dealer for details. Restrictions apply. Offer valid to changes. 2019 Jaguar XJL AWD excludes retailer fees, taxes, title and registration fees. *Price includes $6,000 manufacturer’s rebate. Buyer responsible for insurance, maintenance, excess wear and tear. All amounts shown are estimates, retailer sets actual amounts. Residency restrictions apply. Limited supplies. Check dealer for availability. Offer must be presented at time of purchase. Residency restrictions apply. Limited supplies. Check dealer for availability. 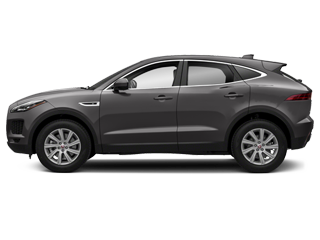 2019 Jaguar E-PACE AWD S 39 month lease excludes acquisition fee, retailer fees, taxes, title, and registration fees. Actual rates and payments of close-end lease may vary. $0 Cap Cost Reduction. Lessee responsible for insurance, maintenance, excess wear and tear. Lessee responsible for $0.30/mile for any mile overage. For well qualified lessees as determined by approved lender. All amounts shown are estimates, retailer sets actual amounts. Residency restrictions apply. Limited supplies. Check dealer for availability. Offer must be presented at time of purchase. 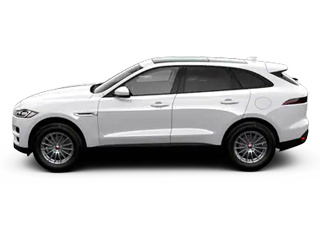 2019 Jaguar F-PACE PREMIUM AWD 39 month lease excludes acquisition fee, retailer fees, taxes, title and registration fees. Actual rates and payments of close-end lease may vary. $0 Cap Cost Reduction. Lessee responsible for insurance, maintenance, excess wear and tear. Lessee responsible for $0.30/mile for any mile overage. For well qualified lessees as determined by approved lender. All amounts shown are estimates, retailer sets actual amounts. Residency restrictions apply. Limited supplies. Check dealer for availability. Offer must be presented at time of purchase. 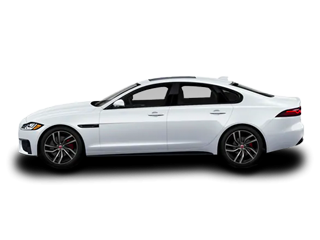 2019 Jaguar XF AWD 39 month lease, excludes acquisition fee, retailer fees, taxes, title and registration fees. Actual rates and payments of close-end lease may vary. $5,995 Cap Cost Reduction. Lessee responsible for insurance, maintenance, excess wear and tear. Lessee responsible for $0.30/mile for any mile overage. For well qualified lessees as determined by approved lender. All amounts shown are estimates, retailer sets actual amounts. Residency restrictions apply. Limited supplies. Check dealer for availability. Offer must be presented at time of purchase. 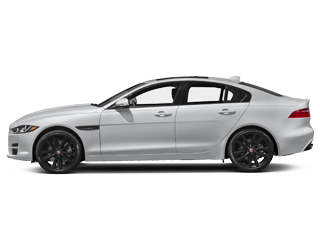 2019 Jaguar XE PREMIUM AWD 39 month lease excludes acquisition fee, retailer fees, taxes, title and registration fees. Actual rates and payments of close-end lease may vary. $0 Cap Cost Reduction. Lessee responsible for insurance, maintenance, excess wear and tear. Lessee responsible for $0.30/mile for any mile overage. For well qualified lessees as determined by approved lender. All amounts shown are estimates, retailer sets actual amounts. Residency restrictions apply. Limited supplies. Check dealer for availability. Offer must be presented at time of purchase. 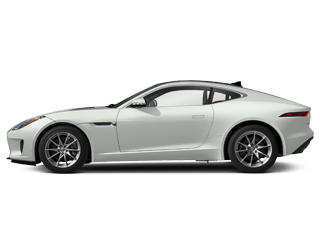 2020 Jaguar F-Type Coupe P300 Auto Checkered Flag LE 39 month lease, excludes acquisition fee, retailer fees, taxes, title and registration fees. Actual rates and payments of close-end lease may vary. $6,995 Cap Cost Reduction. Lessee responsible for insurance, maintenance, excess wear and tear. Lessee responsible for $0.30/mile for any mile overage. For well qualified lessees as determined by approved lender. All amounts shown are estimates, retailer sets actual amounts. Residency restrictions apply. Limited supplies. Check dealer for availability. Offer must be presented at time of purchase. 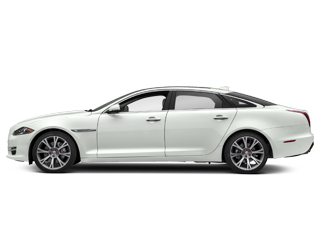 Are you interested in purchasing or leasing a new or pre-owned Jaguar vehicle? We invite you to visit us at Jaguar Paramus. Jaguar enjoys an outstanding heritage of high-quality, exciting vehicles famous for their style, power and superior handling. 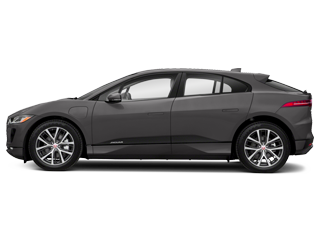 Jaguar is a connoisseur’s choice, for those who love to drive powerful, exciting vehicles with styling that leave other makes in the dust. Our professional and friendly sales associates are happy to convey their knowledge and love of Jaguar vehicles. We know your expectations are high, and we are determined to meet them in every way. Check our large inventory online or in person, schedule a test drive, and consider the various lease/financing deals we offer. 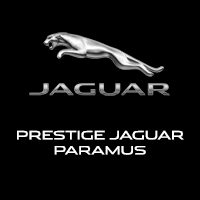 Visit Jaguar Paramus today, your trust Jaguar Dealer in NJ, at 405 NJ-17, Paramus, NJ 07652 for all of your Jaguar needs!